The Royal National Capital Agricultural Society (RNCAS) has promoted agricultural shows in the ACT and surrounding regions for approximately 90 years. Entries for the various livestock and agricultural competitions continue to increase each year, reflecting the significant role the Show plays in the development of the skills and excellence of those who live in the surrounding region. It also reflects the role that the ActewAGL Royal Canberra Show plays in attracting visitors from all over Australia for the event. The ActewAGL Royal Canberra Show can trace its origins back to 1908 when the Ginninderra Farmers' Union organised a show at Ginninderra. It was regarded as an unqualified success and in the ensuing years went on to become the most successful event of its type in the district. The seventh and last show at Ginninderra was held in 1915, just prior to the Federal Government resuming ownership of the site. The Union was disbanded and its funds distributed to various charities. Though sports meetings to raise funds for the Red Cross were held at the Hall Recreation Reserve during the years of the First World War, it was not until 1924 that a successor to the Ginninderra Farmers' Union was formed. The Advance Hall and District Association organised a small district show in 1924 and 1925 when the Federal Government granted an extension to the showground area. The extension comprised of a skillion roofed shed and an unfenced area. A second ring was cut out of the virgin bush by voluntary labour. The show of 1927 is officially recognised by the Royal National Capital Agricultural Society as the first "inaugural" Canberra Show. In that year the association was renamed the Advance Hall Pastoral and Agricultural Association, with the development of Show activities being its sole purpose. After a string of successful one-day shows the first two-day show was held in 1931 with the records of 1932 standing as testimony to the growth of the show. 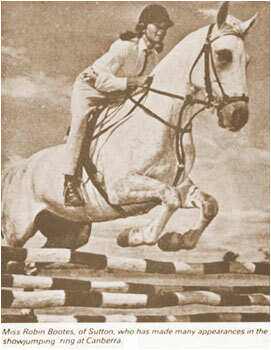 In that year the entries increased from 1000 to 1400 while the attendance over the two days increased from 1100 to 1700. The show of 1932 was opened by Prime Minister J.A. Lyons with the promise of an infusion of greater Federal Government funds to elevate the show to one of national status. With the advent of World War II, this development was halted. The post war years saw new clubs form and old ones reactivated. The horse and sheep sections were always well supported and the calibre of entries brought to the shows a great deal of respect. Sir Walter Merriman, arguably the best known Australian merino breeder, was a great supporter of the show at Hall. In 1961 the National Agricultural Society was constituted and two years later the present Showground site of 40 hectares was selected and development began. 1963 marked the end of an era with the last show at the Hall Showground. 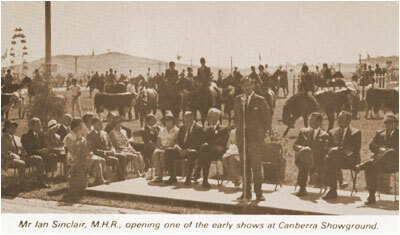 The move from Hall to the current site was met with the approval of the Canberra populace whose support was reflected in attendance figures of 15,000 in 1964 compared with 9,000 in 1962. The 1964 show, the 35th annual show and the first at the Canberra Showground, opened on Friday, March 6 but not even the cold and gusty conditions dampened the enthusiasm of a record visitor turnout. But these conditions were nothing compared to those the following year. In 1965 the Society erected a 10,000 square feet marquee in which to house displays by local firms and overseas countries but record wind gusts blew down the marquee, trapping about 200 persons inside the collapsed canvas. Fortunately no one was badly injured. 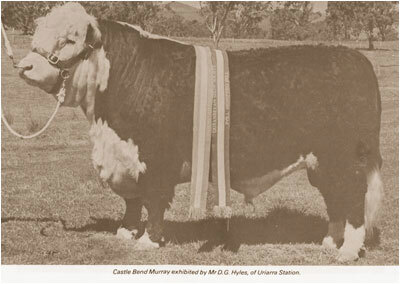 1965 can be more favourably remembered for exhibiting cattle for the first time. 1972 saw the Show firmly established as perhaps the major show in Australia outside the capital city 'Royal Shows'. The program was extended to Sunday making it a three-day and three-night judging and entertainment festival that was appreciated by 20,000 more visitors who saw the Show's attendance jump to 61,000. Just one year later the attendance had soared to 75,000. 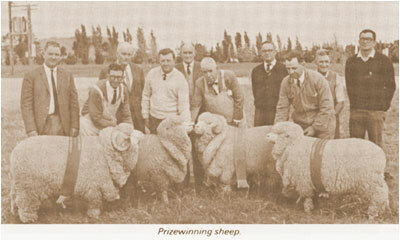 One of the 1973 Show's highlights was the holding of the Australian sheep shearing championships for the first time. A new pavilion was built specially for the event which attracted entries from every State except Western Australia. The 1975 Show saw a new record attendance figure of 100,000 with admission prices of $1.20 for adults and 40c for children between six and 14 years. The Society, ever mindful of keeping pace with the new demands of greater attendance and competition entries, immediately after the Show set about increasing the showground arena and providing a paceway of international standard. The arena was increased almost threefold and became the largest enclosed show arena in Australia. The Society's confidence was rewarded the following year with a 30% increase in attendance to 130,000. The reputation of the Show continued to grow and in 1978 an overseas country was invited to present a display at the Show as "guest nation". Canada became the first guest nation and set up a four part display showing many facets of the country and Canadian life. That same year the Society moved into permanent premises on site as further testament to the fact that staging the Show had become a full time and full year exercise. The Show was conferred "Royal" status in recognition of its stature in 1979 and special funding given to the Show in the Bicentennial Year of 1988 was profitably used to develop the grounds. Since then the Show has gone from strength to strength and crowd attendances are now steady around the 100,000 mark. The scale of the Show has dramatically increased over the years with enough entertainment and information to please every person attending. Not only the Canberra community has supported the Show. Without wishing to tempt fate, possibly the Show's best ally has been the weather.